The skimming products & oil treatment solutions for lagoon treatment and metalworking fluid treatment offered are best to reduce oil wastage in various industrial processes. 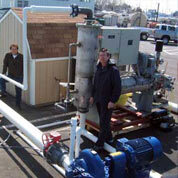 We offer equipment for Lagoon Treatment, MARPON Oil Treatment, Metalworking fluid treatment etc.  All products & services are devised to meet client's specific application in the most cost effective manner. Oil-containing residues like effluents and oil sludge from lagoons, production units, tank cleaning, oil collecting points need to be treated for subsequent utilization. The lagoon treatment concept is aimed to conserve fossil resources. Mechanical lagoon treatment system using self-cleaning separators is highly economical and ecological. 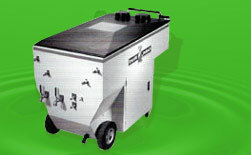 The operating lagoon treatment system are capable of separating water and solids. 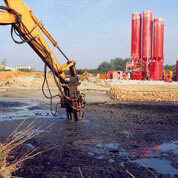 The separated oil can be used in various industrial applications as a fuel substitute. Cooling emulsions and washing lyes must be kept free from solid impurities and tramp oil in order to maintain their properties. 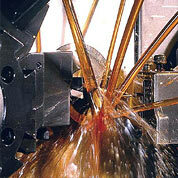 By applying such simple metalworking fluid treatment measures, the life of such fluids can be substantially extended. A fourfold to fivefold increase in service life can be achieved. Besides reducing the operating costs, metalworking fluid treatment system also contributes in protecting the environment. For this task, both manual cleaning separators and self-cleaning separators are equally effective. Machine downtime is reduced to a minimum. High surface quality due to improved machining additionally optimizes the economic balance in automotive and metalworking industry.